Step 1 : Are you a MIPS-eligible clinician or group? During the 2017 and 2018 performance years, the pool of eligible clinicians excluded some specialties that were previously included in Medicare quality reporting initiatives like PQRS and MU. 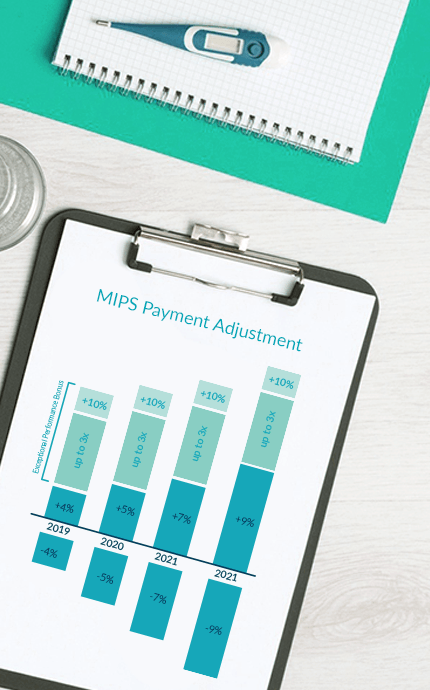 Much like the sunset Value-Based Payment Modifier Program (VM), MIPS determines each eligible clinicians’ payment adjustment based on how they rank versus their peers. The score that is used to determine the performance threshold for MIPS is called the MIPS Composite Performance Score, or the MIPS final score. This score is calculated on a scale from 0 to 100 and is comprised of the aggregated performance from the four MIPS performance c﻿﻿ategories. 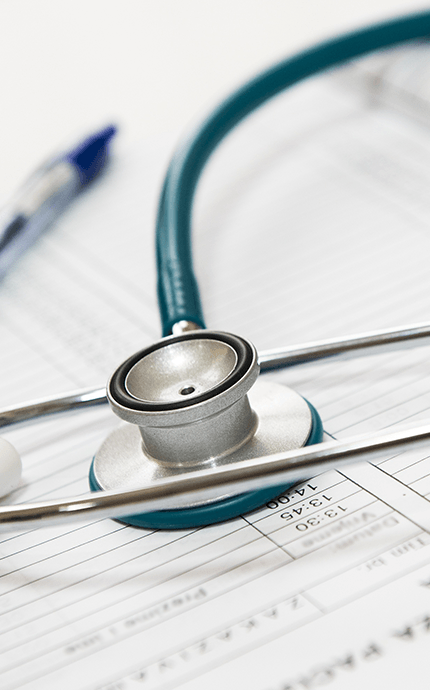 Unlike past quality initiatives, a clinician's MIPS payment adjustment will now follow them even after they depart from the TIN they reported under. The performance in each MIPS category can have serious impact on revenue. 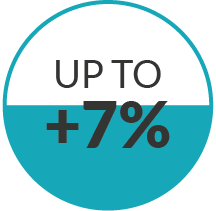 For the performance year 2019 non-participating eligible clinicians will see an automatic -7% adjustment on their Medicare reimbursements. The cost of not participating in MIPS increases each year and reaches a maximum of -/+ 9% for performance year 2020. Additionally, the top performing professionals can be eligible for bonus reimbursements of up to 37% for performance year 2021. 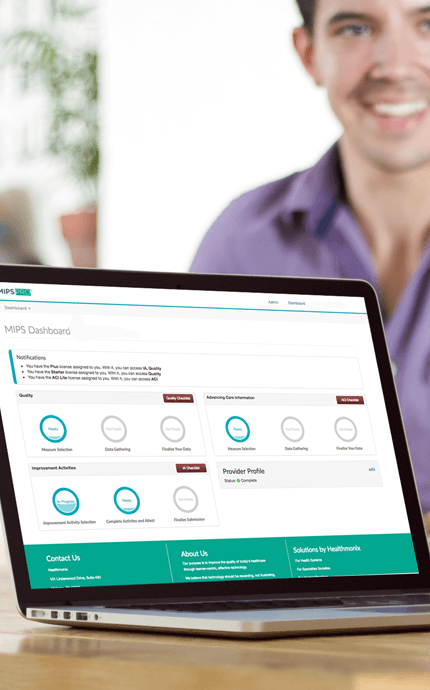 In addition to impacting eligible clinicians financially, MIPS performance has the potential to effect the reputation of eligible clinicians and groups. Scores will be publicly posted to Physician Compare as soon as the informal review period closes following the performance year. ﻿﻿To ease the burden of transitioning to MACRA, CMS is providing pacing options for transition year performance. The options for 2019 are slightly more intensive compared to the options available for the 2018 transition year. Not participating in the Quality Payment Program or a low MIPS final score in 2019 will result in a -7% penalty. This is slightly more intensive than in 2018, with the performance threshold raising from 15% to 30%. Achieving a moderate MIPS final score in 2019 will provide penalty avoidance and up to a 5% incentive. 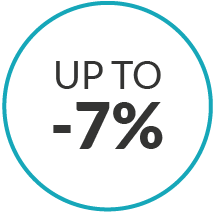 High performance will award up to 7% incentive and potentially an exceptional performance bonus. The MIPS Quality Performance Category is closely related to its predecessor, the Physician Quality Reporting System (PQRS). To successfully report Quality, participants must report 6 measures (one of which is an outcome measure) over a full calendar year for at least 60% of the applicable patient visits. 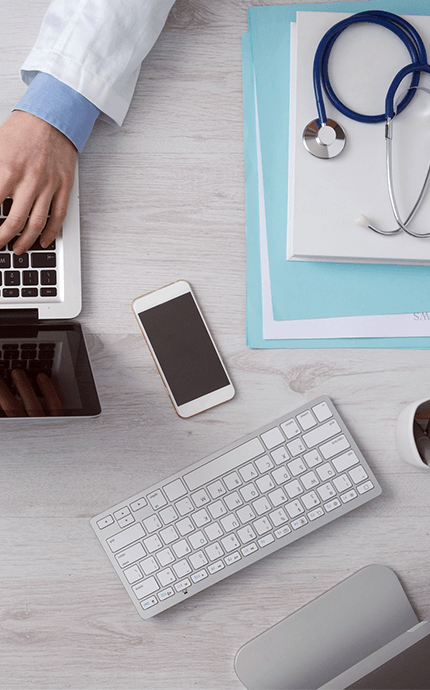 The Promoting Interoperability Performance Category is Meaningful Use updated to be more flexible, customizable, and focused on patient engagement and interoperability. To receive credit in PI, participants must attest to all base score PI measures. Full credit will only be awarded to participants who also report performance score measures in addition to base score measures. The Improvement Activities Performance Category rewards eligible clinicians for participating in predetermined activities aimed at improving quality of care. Clinicians and groups can choose to participate in activities most relevant to both their practice and patient population. 2019 is the second performance year that Cost will be a weighted category for a participant's MIPS final score. The Cost category score will be the average performance score for the Medicare Spending Per Beneficiary (MSPB) measure, the Total per Capita Cost measure, and eight episode based measures (when applicable). All Cost measures are automatically captured through administrative claims. Under MIPS, performance matters! It's no longer enough to just report quality data. In 2019, CMS penalties and incentives will reach 7% and although Medicare quality reporting is complicated, MIPSPRO makes the reporting process easy with an intuitive system and a quality reporting team to guide you through the MIPS reporting process and to success! With prices starting as low as $289 per provider/year, starting today is the key to MIPS reporting success in 2019.